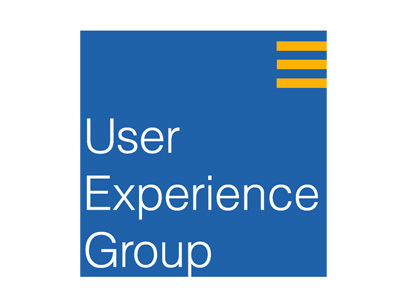 Branding for the IBM GSA User Experience Group. 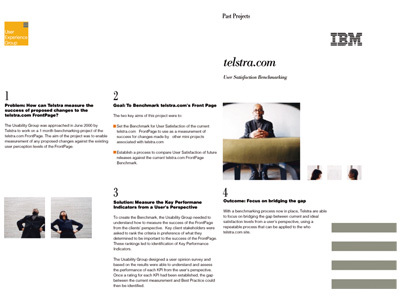 The image was a move away from a traditional usability image. The branding involved logo design and promotional material. 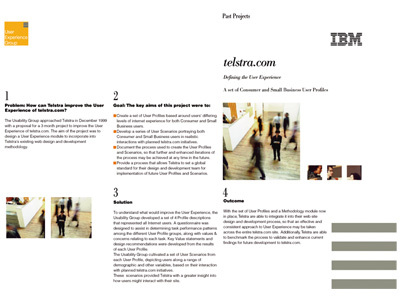 The promotional material was in the form of case studies. 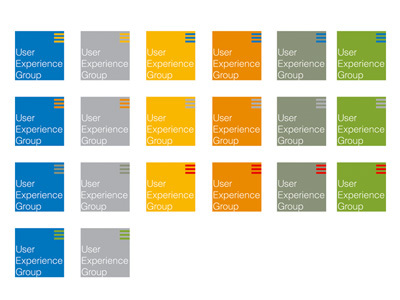 The design was set firmly within the IBM style but unique enough to give the User Experience Group it’s own personality.